The tour was amazing! Timing wise was just right, enough time for you to enjoy each attraction at a right pace. Our guide Ryan was funny, friendly and informative. 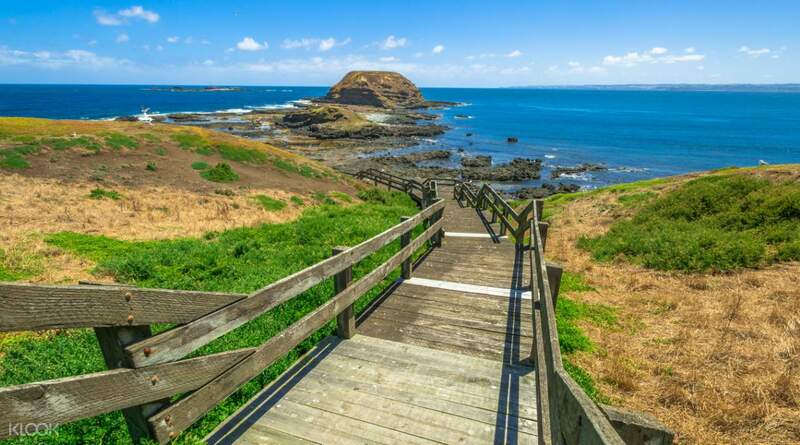 I will recommend all to take up this tour for a unforgettable tour to the Phillip Island. 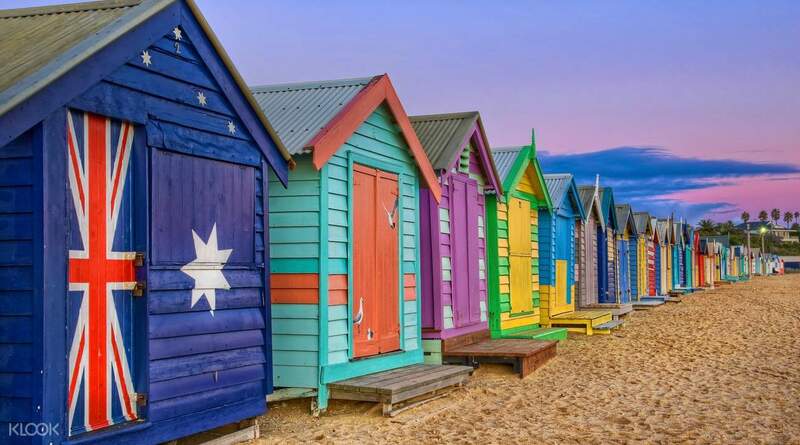 After being picked up from Melbourne, your first stop on this Aussie adventure will be the city’s most colourful attraction – the iconic Brighton Beach bathing boxes where you'll visit the beach and take some time to admire these historic landmarks. Then you visit Moonlit Sanctuary Wildlife Park. 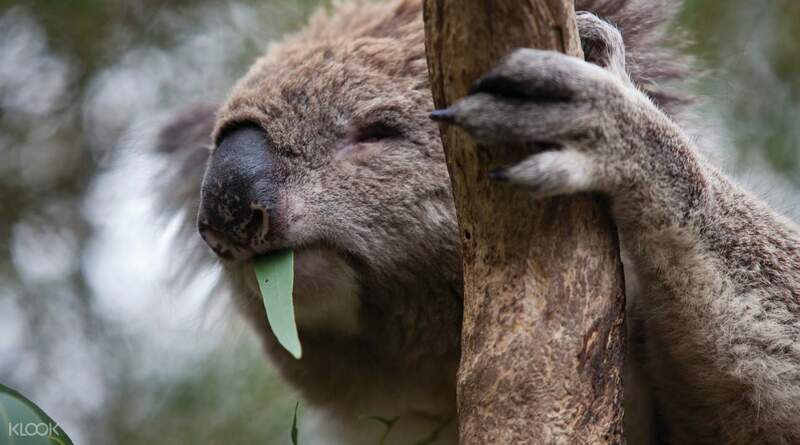 Here you'll have the chance to hand-feed kangaroos, emus and other animals and learn about these species. One of the highlights of this tour is the variety of activities to enjoy. 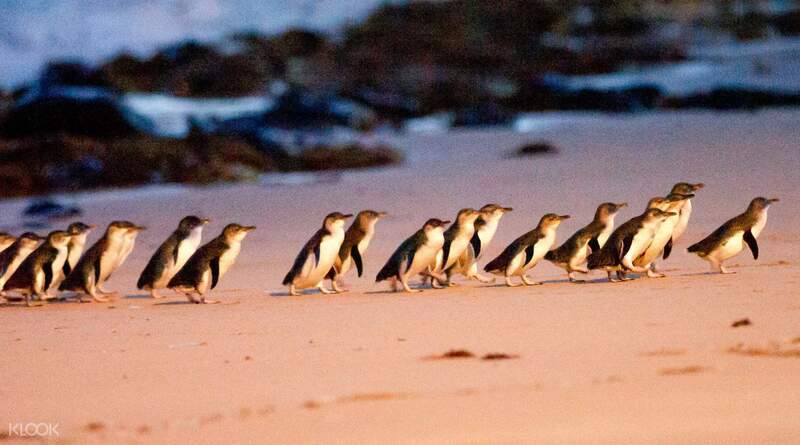 The best is served last, as the sun begins to set and the sky darkens, the cute little penguins begin heading home after a day out fishing at sea; waddling back to shore forms the famous penguin parade. You'll head back to Melbourne after your day of exciting moments, and with WiFi on board you'll easily be able to share the memories with friends! The itinerary's great! Enjoyed every bit of the tour thanks to our enthusiastic and passionate guide, Leonie of Go West Tours. Prompt, professional, very knowledgeable and fun. (Nice playlist, too!) Will definitely book one of their tours again! The itinerary's great! Enjoyed every bit of the tour thanks to our enthusiastic and passionate guide, Leonie of Go West Tours. Prompt, professional, very knowledgeable and fun. (Nice playlist, too!) Will definitely book one of their tours again! The activity was good, although the weather was very windy and with the occasional drizzle, it really dampened the excitement. The Brighton bath boxes were a sight to soak in with the great ocean view. The Moonlight wildlife sanctuary was educational for the kids as well. The highlight was the Nobbies and the Little Penguins parade where we saw the cute penguins. Kids loved em! The activity was good, although the weather was very windy and with the occasional drizzle, it really dampened the excitement. The Brighton bath boxes were a sight to soak in with the great ocean view. The Moonlight wildlife sanctuary was educational for the kids as well. The highlight was the Nobbies and the Little Penguins parade where we saw the cute penguins. Kids loved em! Excellent day tour! Pick up was smooth and every 1 hour there was a spot for us to look around including the Brightn Beach, Moonlit Sanctuary (feeding kangaroos and wallabies was so much fun!) and The Nobbies before watching the Philip Islands. Excellent day tour! Pick up was smooth and every 1 hour there was a spot for us to look around including the Brightn Beach, Moonlit Sanctuary (feeding kangaroos and wallabies was so much fun!) and The Nobbies before watching the Philip Islands. Had a really good time with Mark from Go West! He was extremely cheerful and attentive even though our group don't talk too much. A complete package to get to see the beach, wildlife and scenic views. totally recommended! Had a really good time with Mark from Go West! He was extremely cheerful and attentive even though our group don't talk too much. A complete package to get to see the beach, wildlife and scenic views. totally recommended! I love our tour guide Mel. She is the best tour guide we had so far. The tour also included a lot of different stops which we felt makes the tour extremely enjoyable and worthwhile. However, there is nothing particularly special about the penguin parade. A definitely must try for tourists! I love our tour guide Mel. She is the best tour guide we had so far. The tour also included a lot of different stops which we felt makes the tour extremely enjoyable and worthwhile. However, there is nothing particularly special about the penguin parade. A definitely must try for tourists! A very well organised tour by GoWest. It was raining during our Penguin Parade, but certainly not the fault of anyone. You’re not supposed to take any photos of penguins, so just put it in your memory! We had PenguinsPlus, and it’s worth it. A very well organised tour by GoWest. It was raining during our Penguin Parade, but certainly not the fault of anyone. You’re not supposed to take any photos of penguins, so just put it in your memory! We had PenguinsPlus, and it’s worth it. Our tour guide is Graham. He took care of us very well and we had a great time in this Philip Island tour. He shared lots of information to us, so that we can enjoy our trip more. Even we only got around 9-10hours in this tour, we feel every event is well organised and can enjoy everything in an one-day your. Our tour guide is Graham. He took care of us very well and we had a great time in this Philip Island tour. He shared lots of information to us, so that we can enjoy our trip more. Even we only got around 9-10hours in this tour, we feel every event is well organised and can enjoy everything in an one-day your. Although the visit to the beach houses and sanctuary was kind of tight, but it was totally awesome. I was so wow-ed by the gorgeous views and it was amazing. The penguins were so cute and got to see them up close. Shoutout to Sam for being super fun and energetic throughout the trip! Although the visit to the beach houses and sanctuary was kind of tight, but it was totally awesome. I was so wow-ed by the gorgeous views and it was amazing. The penguins were so cute and got to see them up close. Shoutout to Sam for being super fun and energetic throughout the trip! It was an amazing experience to be able to see penguins close by. 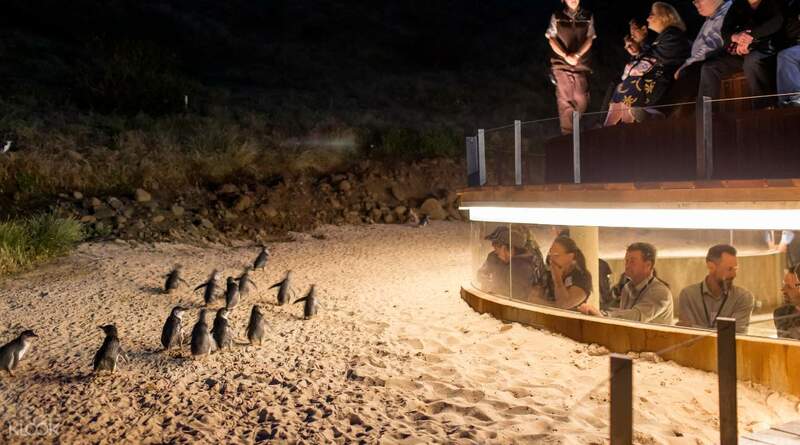 The tour is just right for us to experience and see different animals before going directly to philip Island. But we couldn't take photos of the penguin as our flash will be bad for their health. So, it will be best to just enjoy that special moment tgt with the penguin. It was an amazing experience to be able to see penguins close by. The tour is just right for us to experience and see different animals before going directly to philip Island. But we couldn't take photos of the penguin as our flash will be bad for their health. So, it will be best to just enjoy that special moment tgt with the penguin.